Pure sound is the love of ouer lives. The rest is just ouer fantasy. We are driven by the desire to keep searching for the best ways to enjoy music at the highest possible quality. This is why we are constantly seeking and implementing superior solutions that our customers have grown to appreciate. As our passion for music and high-quality sound grows, we try to infuse our customers with this passion every day, and we share their love of music and of the way they listen to it. I believe my memory is quite good. Even though I remember almost everything I sometimes have problems with placing some events in particular moment of the past. That’s why I wasn’t completely sure during which Audio Show a room that everybody called „Ukrainian” was so popular, and so well spoken off. In there mostly products of N-Audio were presented. Not to mix the facts I checked that – it was, as I thought, in 2010. After the Show year after year there are several discussions on audio forums with people describing their impressions and I saw a lot talking about N-Audio but not a single negative comment about the sound presented in this particular room, which by the way is very unusual. Just to remind those of you who were there – the system presented in this room was surprisingly inexpensive with Hunday Blu-ray player that delivered signal to N-Audio DAC, which drove a tube preamplifier that delivering just 2W drove directly high-efficiency horn speakers. Surely it wasn’t a high-end sound but it was so enjoyable that it attracted large crowd most of the time. After the Show I even considered reviewing on of the Ukrainian products but I gave up the idea after realizing through how much trouble I would have to go with Customs and so on to get something from outside EU. In 2011 N-Audio was not participating in AudioShow so I was quite surprised when I entered the Bodnar Audio room and realized that „I know this guy somehow…”. And yes, „the guy” was the same one I remembered from N-Audio room. I think we spoke in 2010 for quite some while. 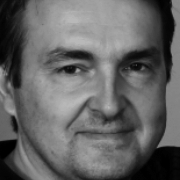 Explanation turned out to be quite simple – Mr Paweł Bodnar came to live in Poland 20 years ago from… Ukraine. That explained his connections with Ukrainian manufacturers – and we know very well, that there are a lot of them, manufacturing mostly tube devices. Some brand are in fact quite popular in Poland – I myself had 300B Abraxas amplifier. 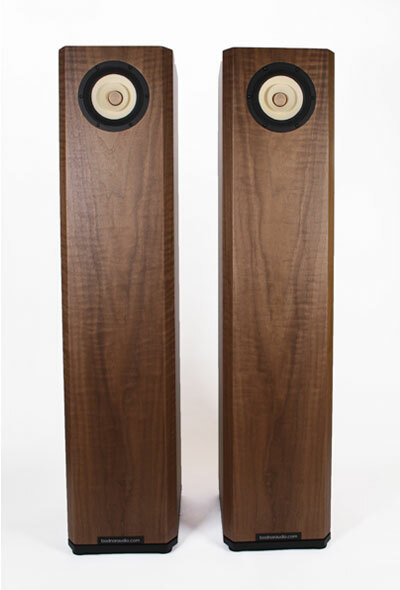 Using time between AudioShow 2010 and 2011 Pawel Bodnar designed and started to manufacture his own horn speakers with Hungarian full-range speakers (no crossover) – he called his company simply Bodnar Audio. Our Chief Editor knowing my weakness for this type of speakers offered me an opportunity to review an entry level product of this company, which I gladly accepted. Eva Cassidy, Live at Blues Alley, G2-10046, CD. Roger Waters, Amused to death, Sony Music, 468761 2, CD. Stevie Ray Vaughan, Texas flood, epic/LEGACY, EX65870, CD. Dyjak, Publicznie, UBFC Cd0111, CD. U2, The best of 1990-2000, DIDTZU213/063 435-0, CD. Dire Straits, Communique, Vertigo, 800 052-2, CD. Louis Armstrong & Duke Ellington, The great summit, Roulette Jazz, 7243 5 24548 2 2, CD. Cassandra Wilson, Travelin’ Miles, Blue Note, 7243 8 54123 2 5, CD. Katia Cardenal, Canta a Silvio Rodriguez, FXCD 236, CD. The Ray Brown Trio, Live at the Loa, Summer Wind, Concord Jazz, CCD-4426, CD. Raul Midon, State of mind, EMI, 0946 3560012 4, CD. Japanese versions of the discs are available on CD Japan. 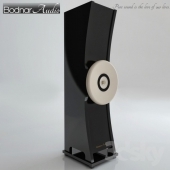 In theory there are there models of loudspeakers in Bodnar Audio’s portfolio (but there are more versions) – each of them uses a different full-range driver. All drivers come form Hungarian manufacturer called – Sonido. When I visited Mr Pawel in his headquarters in Katowice he told me that he wasn’t happy with his middle model of loudspeaker so he decided to keep working on it withdrawing it for the moment from company’s portfolio. This in fact decreases the portfolio to two models for now – the entry level, herewith tested, Woodline Hornton that sports 145 mm driver, and the top model called Soundglass, with its large 200 mm driver (the model currently withdrawn sports a 175 mm driver). Please check Bodnar website – you will find there several different finishes Woodline model is offered with. 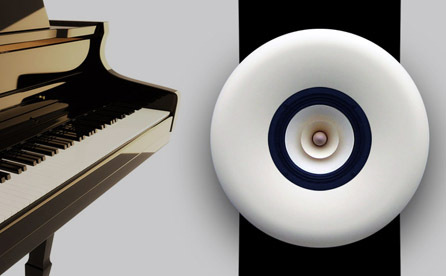 When it comes to top model Soundglass, there are even more options with top version finished in piano black or white (lots of other colors are of course also available). When you order a product from a small manufacturer you can easily recognize advantages – there are standard products but it is possible to agree almost any change considering its finish, or details like internal cabling, or speaker binding posts. During our conversation Mr Pawel told me about his recent special customer who ordered Soundglass speakers with fronts made of… very specific granite – of course he received. It was also an interesting experience for Mr Pawel as he had a chance to listen to his own design with this quite important change in form of granite front and he admitted it sounded even better, with amazingly extended and very well defined bass range. Customers wishes some particular binding posts – no problem, particular internal cabling – OK, cables running directly from driver to amplifier – sure, why not (it is possible because there is no crossover). Customer has lots of options, he can even come up with some of his own – can you imagine a better deal than this one? Sure you have to pay for such extra features but you can have a speaker tailored for your needs. Even after short listening session with Soundglasses I can easily imagine customers who buy those, connect them directly to their beloved low-watt tube amps and spend the rest of their lives enjoying music delivered by such setup. Let’s get back to subject of this test – Woodline Hornton. 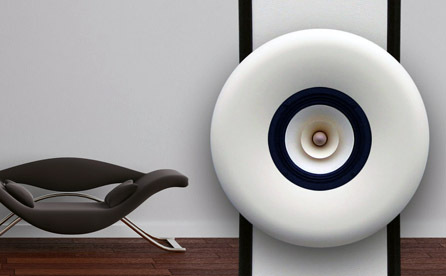 As I already mentioned it’s a horn speakers which implicates significant dimensions of their cabinet. 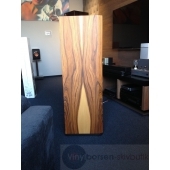 Height – 1100 mm – is quite impressive but since the width is only 200 mm and the depth is 350 mm, which when placed in a room creates an image of not so big loudspeaker. A small (145 mm) full-range driver with paper cone and wooden phase plug is placed in the middle of the upper part of the front panel. Behind this driver there is an inlet of the horn tunnel, that first runs down along front panel, than at the bottom turns up up and runs to the month of the horn located in the upper part of the back panel. There is no crossover of any kind here – copper cable runs directly from driver to the binding posts. The design doesn’t really allow to look inside to check if there is any damping – most likely there is some at least behind the driver. The cabinet stands on four feet, yes feet not cones. I guess this also might be changed but I’m not sure if there is really a need. 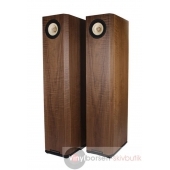 Mr Pawel Bodnar recommends driving these speakers with 300B SET amplifier – that’s what he uses himself. 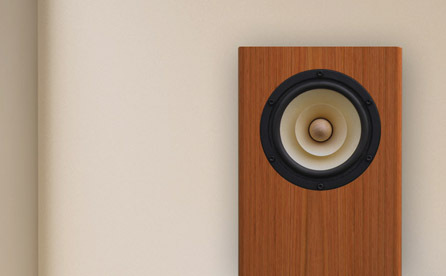 In theory each designer should try to build simply good loudspeakers but let’s face it – most of them when working on this design listens to it using his amplifier. In this case it was 300B SET so this kind of amplifier should be the best match for Horntons. High sensitivity, easy load – this means that probably each low-watt amp will do the job. But if you have some more powerful amplifier you should give it a try too – at Mr Pawel’s place we listened with 6C33 amp and I liked it very much too. I’m a fan and owner of 300B SET so my choice of amplification for this test was obvious. I also own horn speakers (with Voxative drivers) so regardless big price difference I was comparing sound of both designs (although it would be more fair to compare my speakers to Soundglass model). I listened to one of Dire Straits recordings, where bass guitar plays very important, one might even say key role. The very smooth, liquid presentation, speakers disappearing from the room and high realism – all that totally distracted me from what I wanted to listen to – bass guitar. But when I finally got there I realized that it was clearly present, doing its job – being a pulse of every tune. OK, it could go bit deeper and have more body but the way it was presented was simply enjoyable. Mark Knopfler’s voice on the other hand was presented in beautiful, very convincing way – bit rough, bit warm – just the pure essence of Dire Straits vocalist’s voice, that could not be mistaken with any other. An acoustic guitar, whenever it appeared, sounded not just good, sounded damn good (or even better considering the price of those speakers) – every pluck on string, sounds sustained by a sound board that was really „involved” in making sound – all that sounded very natural, palpable, real. Anyway – rock music sounded quite well on Horntons which is more than you could expect from horn speakers, and when it came to voice or acoustic instrument reproduction it sounded very good, very convincing. The latter boosted my expectations towards next listening session with vocal and acoustic music. But before I got there I decided to listen to some more „old” rock music. Well, not THAT old, but at list some singles from Singles collection of U2 are pretty old. This album has unfortunately this poor sound quality in common with all other recordings of this band and, also unfortunately, Horntons showed me that strait out – boosted bass and very flat, thin sound overall. Somehow warm sounding 300B with full-rangers did not make this recording sound any better. All I could stand were maybe 3 pieces and I had to run that off. Anyway there was my proof that these horns work in a simple way – „sh…t in sh…t out”. In the meantime I received an email from a Reader who asked my how those speakers played rock and pop music, so I listened to few more recordings that might not exactly be classified as pop or rock genre but that was closest I could come up with (I simply don’t really have pop recordings). I started with blues fans „pride and joy” – the one and only Stevie Ray Vaughan. Yup, I do realize that’s no rock but I would call it electric blues, maybe even blues-rock – anyway instruments used by SRV band were the same as by most rock bands so his music could do the job in mind. One small digression – when you read this review please remember that it’s written by a total tube and horn aficionado, who has had his own horns and 300B for couple of years now – that means I love the sound they offer (that’s not a blind love – I know weaknesses of this sound and I accept to and enjoy fabulous advantages). I needed to remind (or let you know) that, so that you read my words properly. I really loved the way Stevie’s guitar sang, his voice touched my soul when I was listening, and my feet were dancing around. But if I were used to listening to such music via some powerful solid-state amp and big, 5-way speakers I would probably say that guitar was quite good, voice very nice but the bass drum didn’t have enough weight, and bass guitar could have more body. This second version would more high-fidelity version of recording reproduction, but what I expect from my personal system is to play music in a way that „moves my soul”, lets me feel it, live it, enjoy it. And I don’t need high-fidelity for that – I need all performer’s emotions, I need to be as close to him as possible, as that’s what take me in, lets me dive into the music without paying attention to details – just enjoy/absorb performance as a whole. And that’s what Bodnar Audio speakers did for me. Surely many other speakers could show me bass drum more convincingly, bass guitar with more body and power – that is all true. But very, very few could deliver SRV and his guitar to my room and show them right in front of me sounding so real, that the rest of the world just didn’t exist anymore – there was only Stevie and his music. Yes, better horns could do it even better but this speakers costing less than 4000 PLN are good enough to create this amazing illusion and to drag a listener into the world of fantastic emotions expressed with voice and instruments. After that I listened to two recordings probably closest to pop that I have in my collection – first Katia Cardenal, and than Raul Midon. To be honest both recordings are mostly about leading voices and guitars (classic and acoustic) but at least the arrangements are rather pop-like. Also both recordings offer decent sound quality which is not too often the case with pop recordings. I love Katia’s voice each time I listen to it, so I’m not going to write anything about it, maybe except for a short notice that this presentation was very close to what my own horns with Voxative drivers deliver. And that, at least for me, means that it was really, really good. Soundstage, even with this pop-like music, was impressive – left to right and front to back. It was not that precise – as the distances between instruments were not clearly shown, but credit for that goes rather to the recording itself. It was obvious that focus was on the vocalist and guitar – all other instruments were shown just in the background – and Hornton’s presentation made it even more obvious. I had similar impression when listening to the album of Raul Midon. I found this guy couple of years ago in Internet, and it was his solo, live performance. Raul has amazing voice and really knows how to use it to sing but also to play them like instruments (different ones, but usually like a trumpet). I love that performance and watched it several times and finally bought his CD. Unfortunately somebody decided that solo performance would not sell, so now Raul has a whole band supporting him and his songs sounded now more pop-like. Even though I still like this album (and next ones) as Raul’s vocal skills are still most important element. And as I mentioned before his vocal skills are impressive – nice timbre, huge scale and this guy can do everything with his voice including doing very realistic trumpet. Nothing matter in this presentation as much as he did, and this was probably the intention of this record producers. It’s not only about how the music was recorded, with vocalist usually in front of the band, but also about how it is presented by SET amp and horn speakers. Simply the midrange is the most important part of the frequency range and that means that voices, and most acoustic instruments are shown in a wonderful, palpable, involving way. 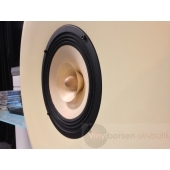 Last but not least – clou of this test – music that is/was a reason to build horns speakers with single full-range drivers (like Bodnar Audio Hornton) – acoustic jazz, blues and (mostly) female vocals. I started (how could I not?) with Ray Brown Trio and their live recording called Summer wind. Oh boy! That’s all I could say after first minute or so. I’m not going to claim that rock, classical music, or operas I prefer to listen using horn speakers – I don’t – such music requires real full-range speakers. But when it comes to live recordings of acoustic music that I wouldn’t trade (good) horns driven by a SET amplifier for nothing else (except for better horns and better SET). It always amazes me how well such speakers perform regardless of volume – doesn’t matter if I play loud or very quiet – everything that’s going on on the stage or in the audience, is equally audible. Every detail, everything that surrounds music, and the music itself… It is amazing but worth under 4 kPLN speakers manage to create fantastic illusion of live concert. You can „see” musicians really enjoying themselves, you can also clearly „see” how extraordinary musicians they are. It takes only a very short time to feel the ambiance of the concert, to become a part of it, to react as if the listener was one of the fans in the audience, to laugh when some forgotten phone starts to ring, to clap one’s hands when enjoying some amazing solo, and so on. No, I’m not claiming that it was the best reproduction of this recording I’ve ever heard – my horns, or Avantgarde Acoustics can do it even better – but hey! Horntons achieve this level of performance with 145 mm drivers and at the price of less than 4 kPLN! That’s hell of achievement if you ask me. 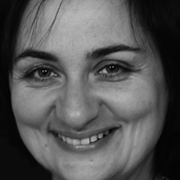 You want better performance – no problem, just pay for it couple of times more. Here even fantastic solos of Jeff Hamilton (drummer) sounded really good – brushes dancing on cymbals, nicely working hi-hat – no complains here! OK, maybe cymbals could have had bit more body to deliver even richer sound, but they were really good as they were. Same goes for drums – each strike was fast, dynamic, taut – it could only have bit more weight. But still the presentation as a whole was so energetic, emotional, so involving that this small weaknesses simply didn’t matter. I listened to many more acoustic instruments too but conclusion was always the same – smooth, warm, natural, enjoyable sound. What about vocals? It did not really matter if it was a nostalgic voice of Eva Cassidy, or Cassandra Wilson singing Miles, or swinging Louis Armstrong, or sweet Frank Sinatra – each voice sounded amazingly well, and each of them in a different way, always delivering huge portion of emotions. It’s simply not about listening to the music anymore (or at least not only about that). It’s more about experiencing it, living it, feeling all those emotions expressed by vocalists and musicians. I said that already but I’m still going to repeat that – such performance is what horn speakers driven by SET can do better than any other rig (in my opinion, of course). It’s not like a listener has any choice – he gets involved in music whether he wants it or not. He has to start swinging with Louis, or cry with Eva. This kind of presentation does not have to much in common with what’s widely considered to be a „high-end sound”, maybe not even with „hi-fi”. Because even as a huge fan of horn speakers and SET amplification I’m not going to try to convince you that it offers the best sound in „hi-fi/high-end” terms. It’s more like some approach to music presentation concentrated on emotions, on feeling the music. That’s exactly what I need after long working day, when, tired, all I want is to sit down in comfortable armchair with a glass of wonderful Merlot to relax and listen to my favorite music. It’s not a time for AC/DC or Mahler, but rather for Ray Brown, Miles Davis, Eva Cassidy or Etta James. And I want them in my room, just in front of me, I want them to make me laugh or cry or sing with them. What I don’t want than is a powerful bass that I could feel in my guts, nor sibilants hurting my ears (not even if they are in the recording). That’s what you get listening to Horntons driven by 300B SET – warm, sensual, emotional presentation – pure pleasure for your ears and soul. It’s not a system for everybody, but is there any? It’s for people listening mostly to acoustic music, to beautiful vocals, and who do it in the evening to forget about that crazy life most us have during working day. If that’s what you listen to and when you listen to it, than quite inexpensive (in „audiophile’s” terms) system with Horntons and for example 300B SET from JAG plus some „analogue” sounding source might offer you all you need. You’ll get lots of emotions, joy, happiness even, and most likely it will never get old. You expect more in terms of sound quality – no problem. 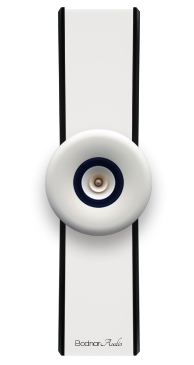 There are better horns – like Bodnar Audio Soundglass for example. You’ll get better extended bass with more slam, more open, yet detailed treble, even denser midrange and better overall resolution of sound. And of course the better amplifier (although JAG is really good) and the better source you use the better outcome you get. Sound will be more „audiophile”, but still with this wonderful, rich, colorful, palpable midrange and sensuality, emotions and so on. It’s up to you how much you want/can spend but even with this simple system, with Horntons and some inexpensive amplifier you will get amazing result that will allow you to enjoy your favorite music, maybe like you never have before. It becomes a habit, writing last minute postscripts I mean. All above described impressions were based on listening sessions with my own ArtAudio Symphony II, (that’s a 300B SET) as suggested by the owner of Bodnar Audio. But when I actually finished this text and was about to start packing Horntons, I received Jadis I35 integrated amplifier for review. That’s a push-pull designed build around KT120. Could it be a nice match for horns – no way! Or at least it should never sound better than 300B SET. But I thought – what the hell, I’ll give it a try. I’ll have another proof that p-p amp doesn’t sound good with horns (none ever did before – in my experience of course). So what should I write now, after praising combination of Horntons and Symphony II? Well, I’m not going to lie to you – I could have just not write this postscript if I didn’t want to tell the truth. And that’s a lesson for me, and I hope it would be one for you too – there are now obvious truths in audio, you think you know something for sure? Think again, check again, listen again, try something else and one day you will find out that you were wrong. Yes, Jadis made Horntons sing even better. Sound became even more open, more airy, especially in the upper part of the frequency range, transparency was also better which created an impression that sound was more detailed than before. I think that in fact there were no more details, they were „only” shown in a more distinct, precise way. The recording of live performance of Marek Dyjak (I was there when it was recorded so I know how it sounded when it was recorded) is not as good as I expected. I would not say that quality is poor – it is good but I remember how fantastic this concert sounded in a small club where it took place. And it was only Jadis that reminded me that – the realism of the presentation was simply amazing. So instead of packing Bodnars I spent another day with them hooked up to Jadis – it was even more fun than before (also because I could simply enjoy it, and not review it anymore). Yes, it is quite expensive amplifier comparing to Horntons price and surely it can offer even more than these speakers were able to deliver. But on the other hand I think Jadis squeezed Bodnars dry to show their top performance and it was even more impressive than during my test. So previous conclusion still stands – these are outstanding speakers and hard to bit at this price. 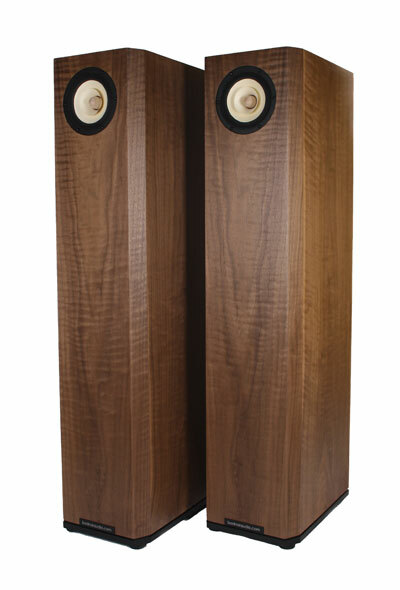 Bodnar Audio Woodline Hornton is a horn loudspeakers with full-range driver, no crossover. Manufacturer decided to use for this basic model small (145mm) drivers from Hungarian company called Sonido (SRF145 in particular). Driver has paper cones and there is a wooden phase plug in the middle. Driver is placed right in the middle of the upper part of front panel. Behind this driver there is an inlet of the horn tunnel, that first runs down along front panel, than at the bottom turns up and runs to the month of the horn located in the upper part of the back panel. Copper cable runs directly from the driver to the binding posts. 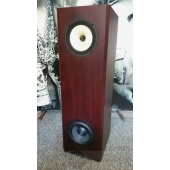 The are quite simple one, which is understandable considering the price of these speakers, but I would like to see more solid ones in their place that would hold spades more firmly. From outside cabinet has a „classic” cubic shape. It’s made of MDF and finished, by hand, with natural veneer (it is planned to change that to machine process). Customer might pick one of many offered veneers. Despite very reasonable pricing finish quality is quite impressive. The sophisticated look of the high-gloss finish is only available in the Grand Piano. This line retains the breathtaking dynamic range, enormous three-dimensional soundstage, natural timbre and deep bass extension of the Sandglass series, combined with richly textured presentation of music. The cabinet design strengthens and improves wave dispersion while boosting bass response, and the single speaker with no crossover reproduces the full sound spectrum. 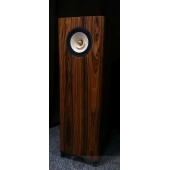 Sandglass speaker systems are an ideal match for triode amplifiers with a relatively low power output. Designed to provide a relaxing musical experience, the Hornton family of speakers are mainly intended for use in smaller rooms.